What day of the year combines haggis, whisky and poetry with lots of fun and laughter? Burns Night of course! Burns Night marks the anniversary of Robert Burns’ birth on 25 January each year. What is a Burns Supper? Held throughout the world on Burns Night (or on an evening close to it) a traditional Burns supper is an evening event that celebrates Robert Burns’ life and work. How did the Burns Supper begin? The first Burns supper was held in July 1801 when nine of Burns’ close friends got together to mark the fifth anniversary of their friend’s death. 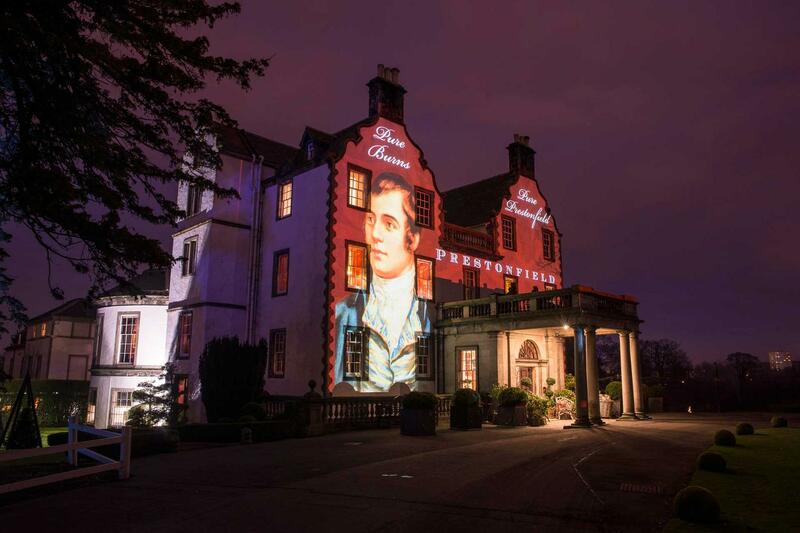 Taking place at Burns Cottage in Alloway, the night included a tasty meal (haggis, of course! ), performances of Burns’ work and a speech in honour of the great Bard (now known as the Immortal Memory). The night was such a resounding success they decided to hold it again (this time in honour of Rabbie’s birthday), beginning the tradition we still enjoy to this day. What happens at a Burns Supper? Everyone enjoys a hearty feast (which includes haggis, neeps and tatties, rounded off with drams of whisky), some of Burns’ poems and songs are recited and tributes are made to the great Bard. To start – everyone gathers, the host says a few words, everyone sits and the Selkirk Graceis said. To end the night – the host gives a vote of thanks, everyone stands and sings Auld Lang Syne, crossing their arms and joining hands at the line ‘And there’s a hand, my trusty fere!’. But remember – if you hold your own, you can follow as much or as little of this running order as you like. You could even make your own additions – hold a quiz, play an epic Scottish Spotify playlist, add a ceilidh, include a treasure hunt – we don’t think Robert Burns would mind at all, as long as you’re having fun! Many restaurants across Scotland host formal Burns suppers or you could join a Burns club near you to enjoy events throughout the year, as well as the annual Burns supper. The Robert Burns World Federation lists more than 250 Burns clubs worldwide.